A new Lidl Wine Tour (in essence, their latest promotion) starts in store this morning – hence the 24 hour delay in launching this post. It contains 26 wines from £4.99 upwards and I have picked out six that I felt stood out from the rest, including the magic bullet selection – which I found hugely impressive, especially for the money. Also today are two Best of the Rest selections (one of them an excellent three bottle wine box) and a Top Tip about what to look for with rosé. In the usual way, pictures appear next to most commendations to help find that particular wine in store. Outside Alsace and perhaps Franciacorta, pinot blanc is something of an unsung hero but it can produce lovely wine with real weight and – possibly because of its modest acidity – often a perception of sweetness too. That underlying sweetness is certainly evident in the German, pinot blanc led (85%) blend, 2017 Weissburgunder Trocken (£5.99 and 12% abv) which also displays quince centred texture and sherbet lime freshness (presumably from the other varieties in the mix). What Sicily calls grecanico is the same as Soave’s garganega and, hence, the basis of zesty white wine ideal for everyday drinking. If not quite the bargain our magic bullet wine represents, this option is still several rungs up from many (if not most) of the wines sold at this price point. Enjoy, then, the substantial apple and greengage fruit in 2017 Grecanico Terre Siciliane (£5.99 and 12%) that is ably supported by lively acidity and hints of savoury spices. Completing the set of relatively unfamiliar grape varieties, here is the white grenache we normally associate with the Rhône and Languedoc but, in this case, popping up in South Africa’s Western Cape. Despite its slightly unexpected geographic source, 2018 Purple Heron Grenache Blanc (£7.99 and 13.5%) still contains that characteristic savoury texture that, here, is joined by apple peel flavours, firm lemon acidity and an attractively soft finish. This red partner to that white Grenache is even more impressive and uses cinsault vines from unirrigated vineyards without trellising – conditions that many feel reduces berry sizes but, consequently, increases intensity. I was especially impressed by the soft raspberry and black cherry fruit in 2017 Purple Heron Dry Land Bush Vine Cinsault £7.99 and 14%) and the firm acidity, black pepper, nutmeg and mint elements that accompany it. Tempranillo seems to be gaining a bit of traction in Australia and this well priced version from there marries that variety with 5% each of merlot, petit verdot and – bearing in mind where we are – shiraz. 2018 Marco Tempranillo (£5.99 and 14%) is relatively light bodied with modest tannin, good acidity, cherry centre fruit and suggestions of menthol and cinnamon. Top marks from the reds, for me, goes to this hugely impressive and interesting blend (5% alicante bouschet) from Chile’s Rapel Valley where cabernet sauvignon in particular does really well. Warm and soft, 2014 Viajero Cabernet Sauvignon Limited Edition (£7.99 and 14%) has delightful cassis and black cherry fruit with good acidity, mocha and mint influences and firm (but proportionate) tannin. I have spoken before about the quality now available in top end wine boxes (and their convenience speaks for itself) so it is good to see this new one featuring Sicily’s seriously underestimated grillo grape. 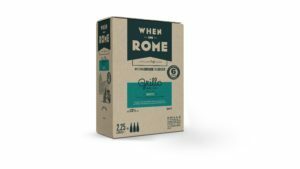 You will find appealing citrus freshness in 2017 When in Rome Grillo Wine Box (£24.99 for 2.25 litres until 19 March at Waitrose and 13%) where it manifests itself as sharp pink grapefruit acidity to supplement and enhance the wine’s textured apple and lemon fruit and the accompanying savoury herb influences. Jean-Claude Mas brings us another of his well made (yet kindly priced) Languedoc reds with this delightful malbec – a grape that, of course, was producing wine in Cahors, some 200 kms north, long before Argentina started doing so. Soft and intense, 2017 Paul Mas Vinus Malbec (£8.25 at Morrisons and 13.5%) has juicy cassis and loganberry fruit with vivid acidity, hints of sage, nutmeg and cocoa but remarkably little tannin. It was probably the hot summer of 2003 that revived the fortunes of rosé – a style that, hitherto, had lain dormant on wine lists for over 20 years. Balmy evenings are surely made for the gentle, fun, “don’t-take-me too-seriously” drinking that rosé seems to represent. That “uncomplicated” point resonated particularly with the young. There was no need to remember a gazetteer of wine related place names and even individual grape varieties had markedly less significance. With so little not to like – and the introduction of inventive ideas on how to drink it – no one is surprised that rosé’s share of the UK wine market is already in double figures, and rising. Two pieces of information, however, suggest that this progress is not simply a straight line graph; underlying changes are at work. The first significant fact is that the value of sales is rising faster than the volume. Put simply, people are choosing to spend more per bottle than they were. Secondly (and clearly connected to that first point) exports from Provençe – France’s biggest and most serious rosé region – are reported to be up by over a quarter. It is not just the price of these wines that is different – so, too, is their style; radically so in fact. While the rosé sold ten years ago was often dark in colour and relatively high in residual sugar (medium dry and beyond), today we see many more pale and bone dry versions. Mirroring life in their Southern France homeland, these rosés are food wines – partnering, for example, summer salads or grilled fish. Recognising the trend towards the so-called “high end drivers”, quality producers in other countries are also developing this drier style of rosé. So, while sweeter darker styles still abound, the increasing volume of more expensive, food-friendly rosé is adding variety and versatility to the category. Outstandingly good examples are becoming increasingly common, so do try some soon – certainly before summertime – if you are not yet familiar with them. 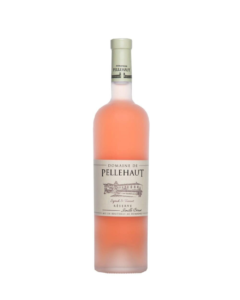 Just one example would be the complex and vaguely floral 2017 Domaine de Pellehaut Reserve Rosé (£11.79 at www.rudewines.co.uk) and 13%). It is actually from Gascogne but still has textured red currant and raspberry fruit, good acidity, touches of white pepper and spice and surprising delicacy given the robust grape varieties it employs – cabernet sauvignon and tannat.